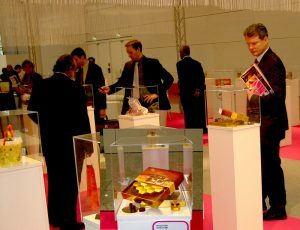 The ISM International exhibition presented whole assortment of confectioneries from every corner of the world in four days. 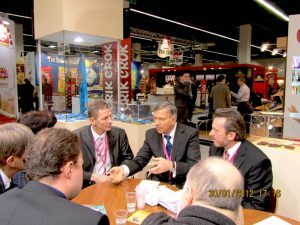 1412 exhibitors from 65 countries attended this event in Cologne in the current year! 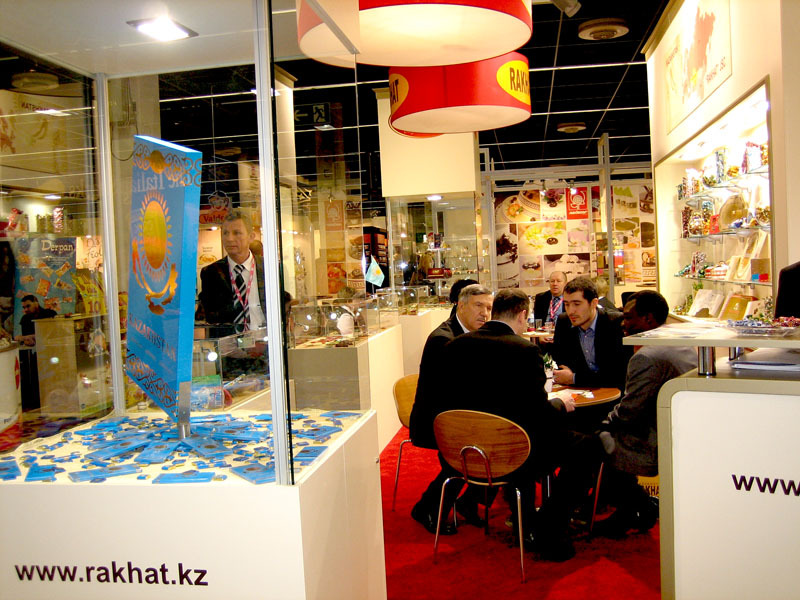 Exhibition is the specialist-oriented event only, and among 35 thousand visitors the overwhelming majority is the people, whose production and commercial activities are directly related to confectionery industry. 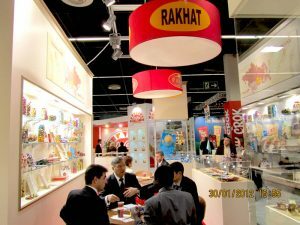 The following has been noted by the information portal known for Germany (GERMANIA-ONLINE.RU) «The “Rakhat” famous company from Kazakhstan, which is recognized from the distance by its enormous 1 chocolate in the form of national flag, is exhibited at ISM for the sixth time. It is unnecessary to discuss the quality and taste of candies and caramels of the “Rakhat” JSC. Constantly growing sales volumes in the “Russian” shops of Germany is the most expressive evidence». The “Rakhat” JSC presented 8 new products from different categories of confectioneries among its products, which are well-known to consumers of FRG and CIS.